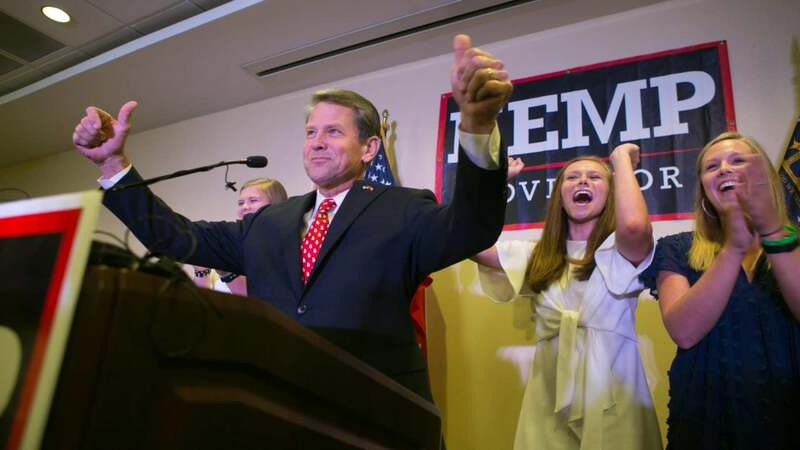 Brian Kemp resigned as Secretary of State, but only after claiming victory in the Georgia gubernatorial race that is still too close to call. After months of calls to step down, Georgia gubernatorial candidate Brian Kemp, has finally decided to resign from his position as Secretary of State. It’s a move that comes way too late for Stacey Abrams and others on the left who found his unwillingness to recuse himself, a clear conflict of interest during an intense race. As Secretary of State, Kemp acted as the top election official in the state, and his former office was responsible for keeping voter records. It’s a job Abrams insists clearly interfered with a fair election process. During the race, Kemp’s office purged more than 53,000 voter ballots for frivolous reasons such as mismatched signatures or being incorrectly filled out (i.e. ballot applicants accidentally putting their birth date in place of the current date). Reports of the discarded voter records strongly suggest that the office was suppressing votes, and according to the Brennan Center for Justice, under Kemp’s rule, Georgia purged 1.5 million voters from its rolls between 2012 and 2016. The Atlanta Journal-Constitution reports an additional 665,000 Georgia voters were purged in 2017. Nearly 72 hours after polls have closed in Georgia, Abrams has not yet conceded to her defeat, but Republicans at the Georgia state house have declared their own winner. Outgoing Governor Nathan Deal has already publicly congratulated Kemp and vowed to work with him in his new role. If Kemp’s current lead drops below 50% of the vote, the race for Georgia’s next governor will be decided in a runoff.